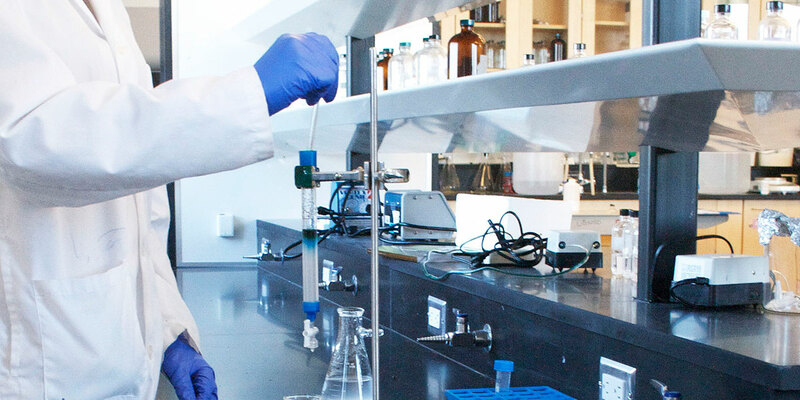 This program provides students who have earned a degree with an opportunity to gain the practical skills needed to isolate and manipulate DNA and manufacture products for use in health care, pharmaceutical, agricultural, food and environmental applications. Whether you are bound for the lab, field or manufacturing plant, you’ll have the hands-on skills you need to launch a successful science career in less than a year. Learning within state-of-the-art labs using industry-grade equipment, students learn how living organisms or parts of living organisms can provide new methods of production and development of new products in a range of industries as well as the regulations which govern the use of these techniques. In our Biotechnology laboratory, you will conduct extensive experiments in cell and molecular biology in order to develop essential laboratory skills including learning how to isolate and manipulate DNA; purify and characterize proteins; and grow and maintain cells in tissue culture. You will also learn a wide variety of microbiological techniques in our Microbiology laboratory including the cultivation, manipulation, isolation, and identification of microorganisms. In your final semester, you will use biological organisms to actively manufacture a chemical product used in an industrial process. Our Analytical Instrumentation lab will provide you with practical, hands on training on a variety of instruments used in the quality control and safety testing of pharmaceuticals, the analysis of clinical samples related to human health, and research and regulatory programs for the protection of our environment. In addition, you will develop a clear understanding of regulatory affairs and the ethical implications of the biotechnology industry and its influence on society. Your learning experience will be complemented with a field placement, which will enable you to utilize your skills and gain valuable industry experience through a supervised work placement. If you are an applicant with an Honours BSc, you may apply for credit for this component against your supervised research.